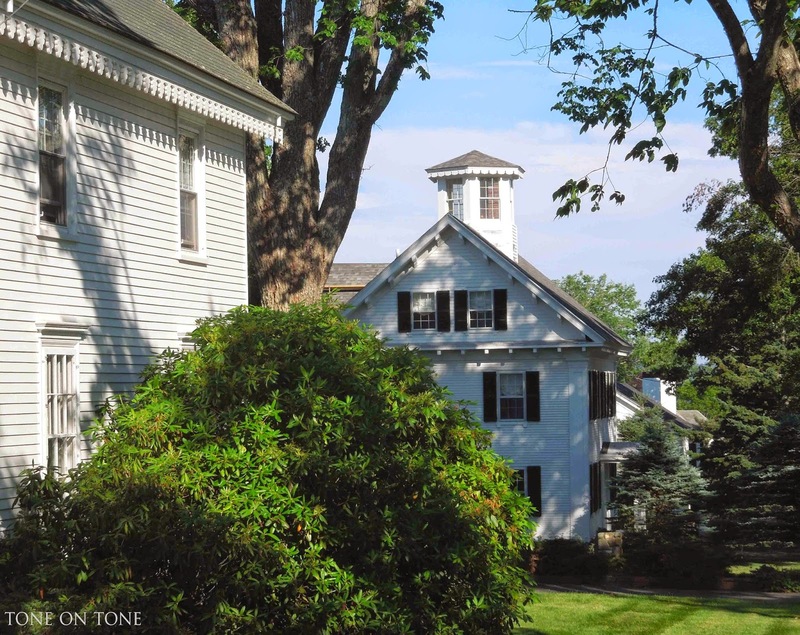 Tone on Tone - Interior & Garden Design: Welcome to Castine, Maine! Such a beautiful and charming place to visit! I sure hope I can visit Maine one day! 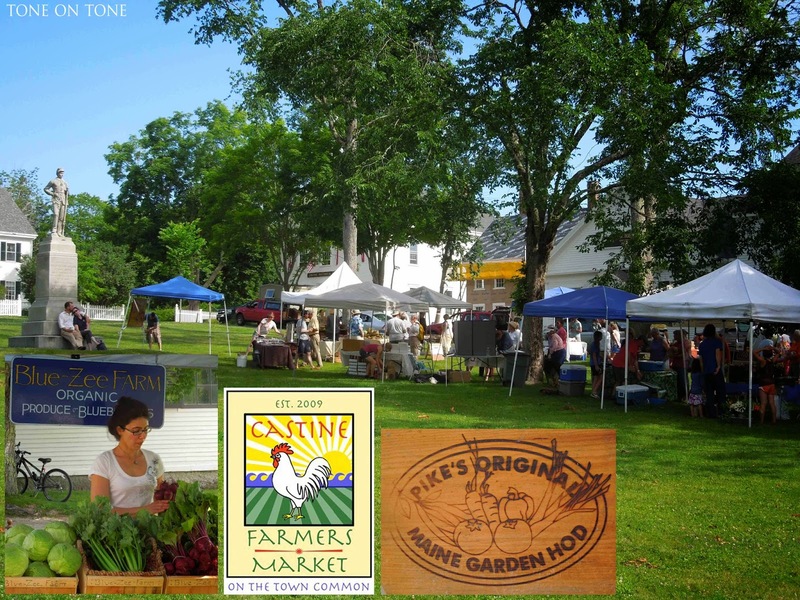 Lisa - I hope you visit Maine, and make the trip to Castine - it's worth it!! As I looked at each beautiful photograph the one word that keep flowing through my thoughts was magical. Truly magical Loi, blissful summer wishes to you and Tom. Loi thank you so much for sharing your lovely historical town with us! 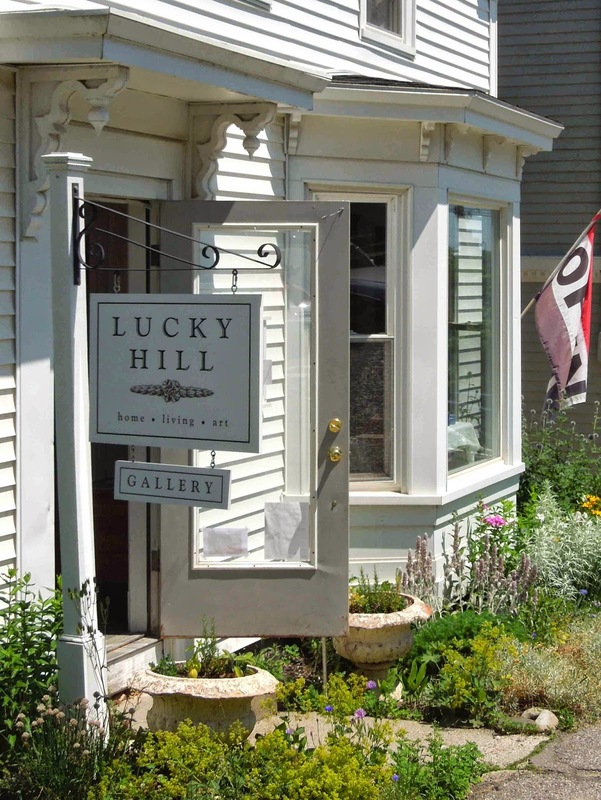 There is an abundance of charm at every turn! 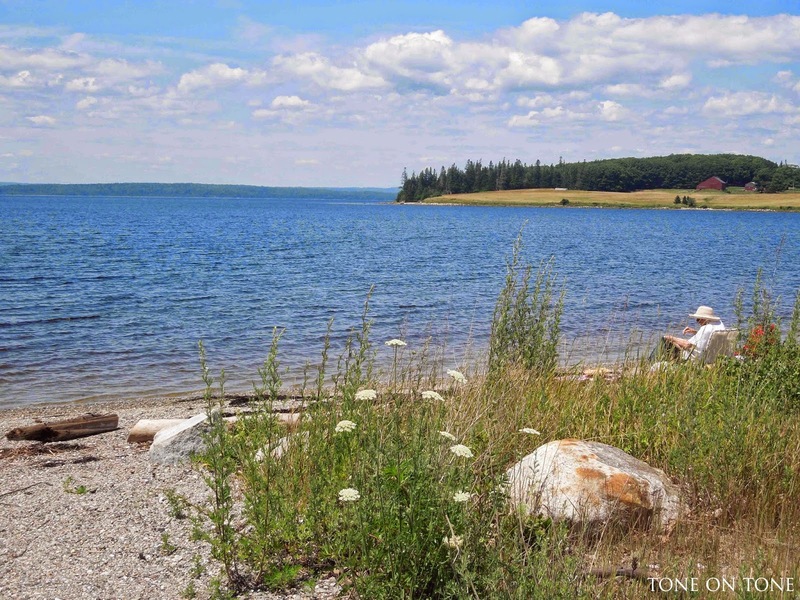 I can see why you chose Castine for your second home! Castine is such a beautiful town. 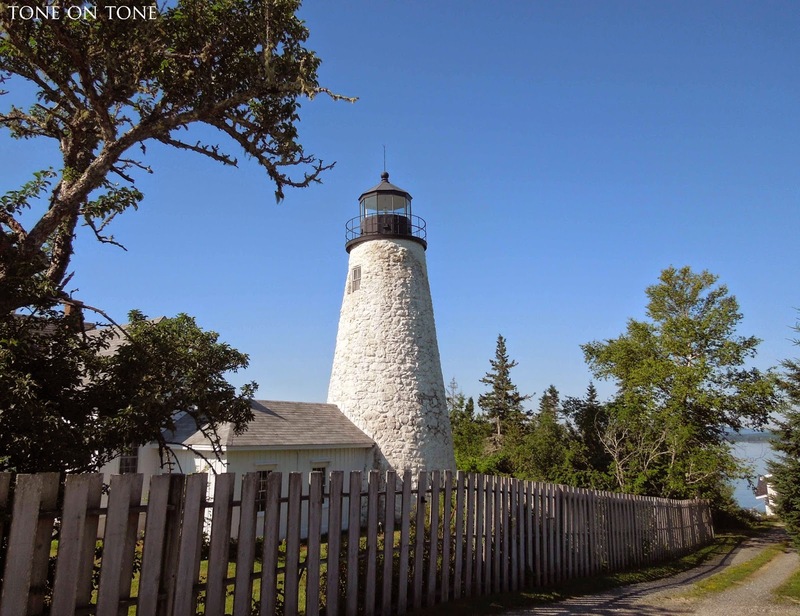 My husband lived in the house at the Dyce Head Lighthouse in the 60's and has many funny stories of playing in the lighthouse. 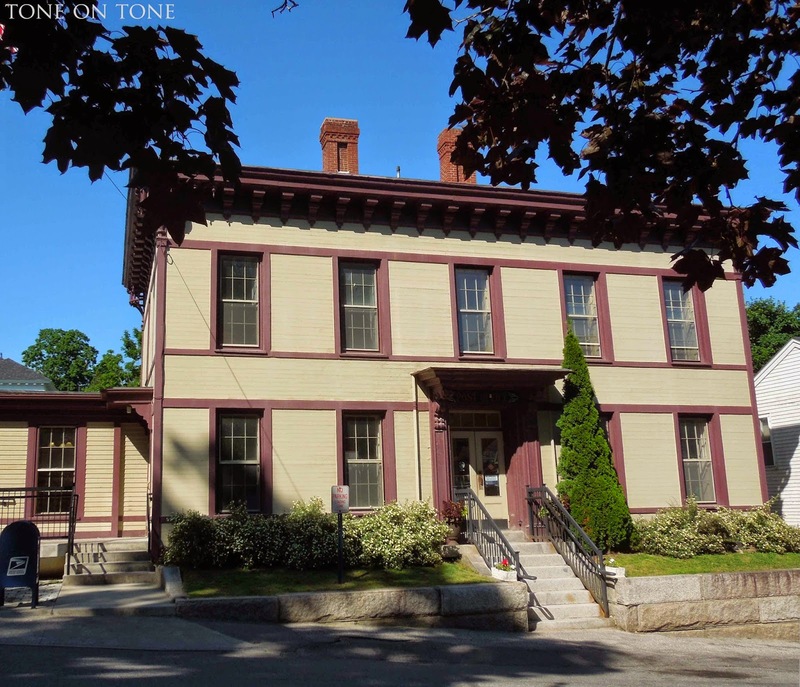 Hello Loi, I love towns full of history like Castine. I am sure that as you settle in you will discover more and more of what really gives the place its character, and why. What a charming, storybook town! 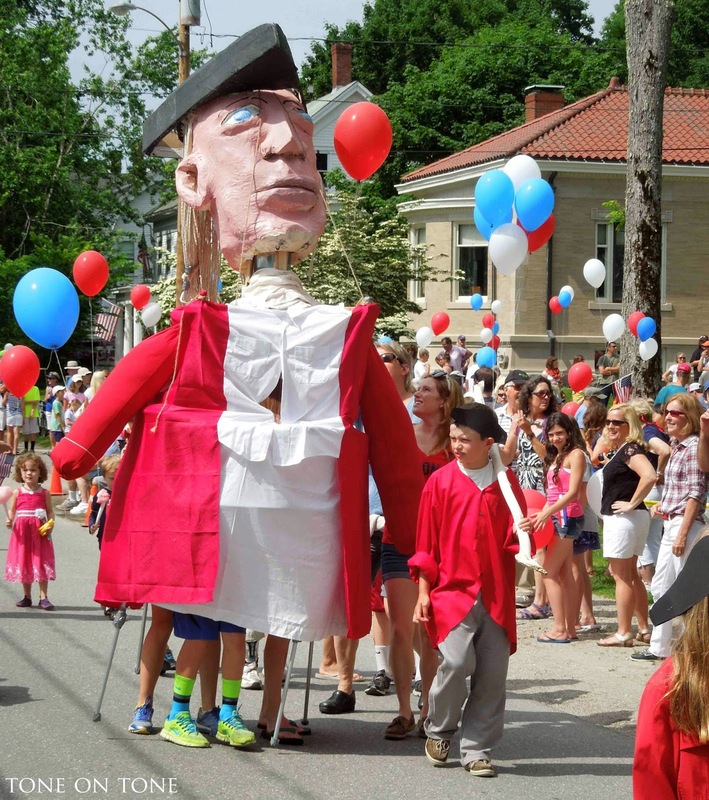 The children's parade is a brilliant idea - wonderful and a perfect time to visit. Enjoy your beautiful new home and community. 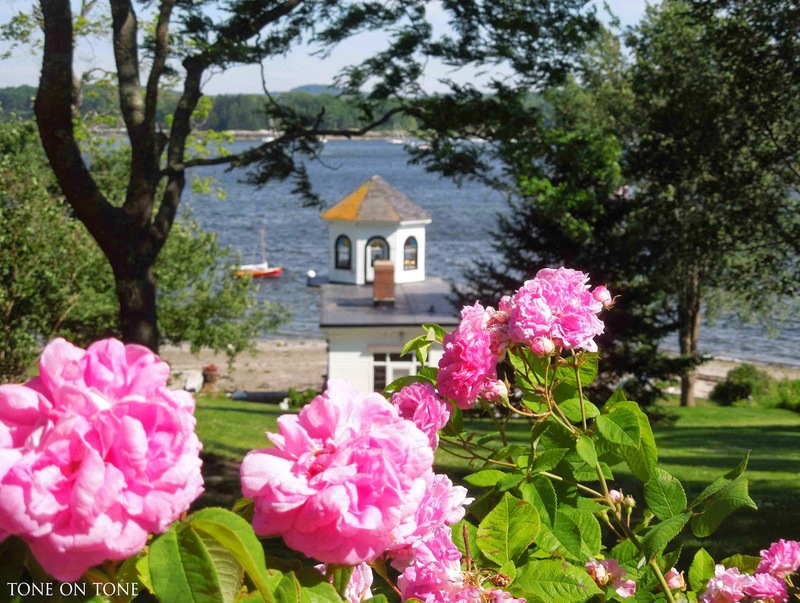 xo T.
Such a visual treat for us today, touring the beautiful Castine! 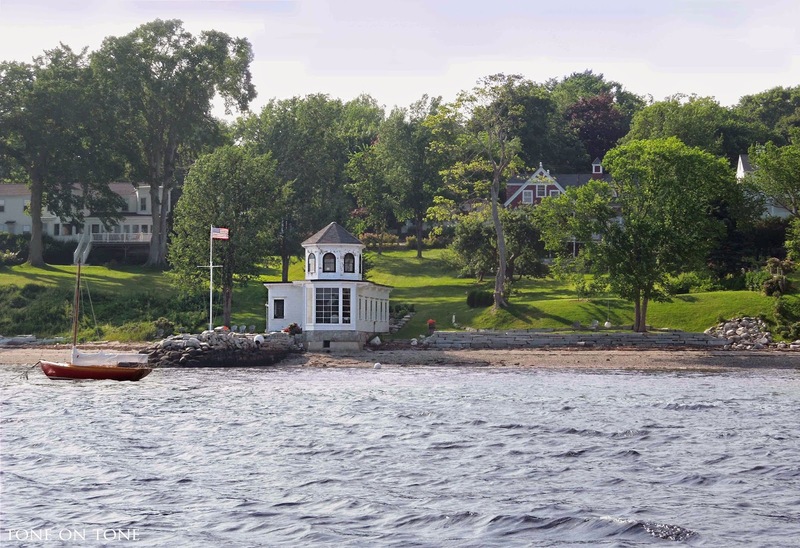 As I've said before, it is utterly idyllic for its heritage homes, gorgeous landscape and beaches, and charming, storybook lifestyle! Thanks for the lovely, guided tour which makes me want to leave the Greek Aegean for New England! My pleasure, Poppy! 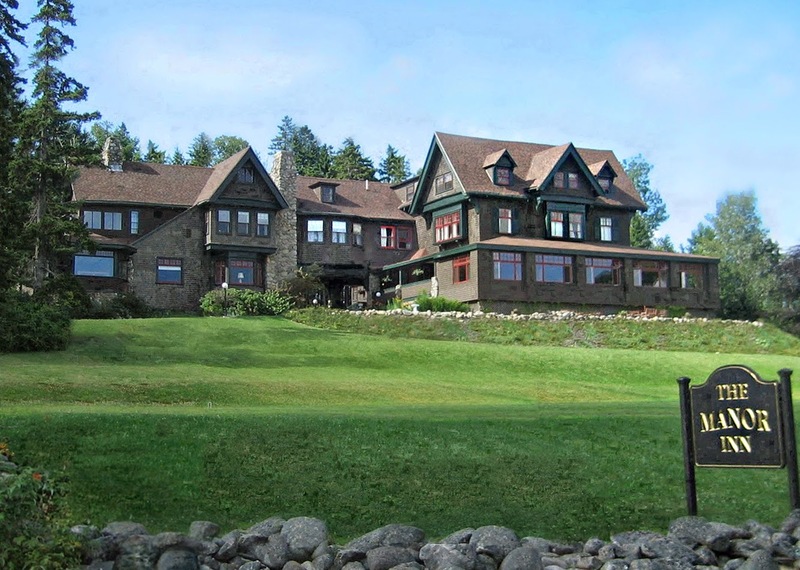 The next time you return to Canada, perhaps you can visit Castine. We'd love to have you!! WOW i am so homesick for new england right now! i loved growing up there and this town looks so dreamy and full of charm and history, just how i like it! 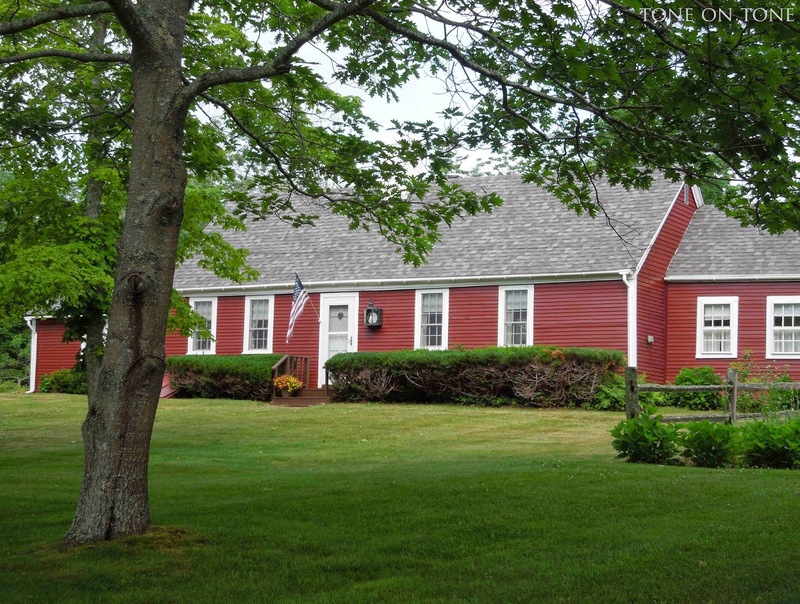 what gorgeous homes- i can see why you and tom settled on castine! Thanks, Phyllis! Can't wait to hear more about Bowdoin and Bates. Love the photos on Instagram. Oops, I just sent you a link too on your blog, Janet lol. 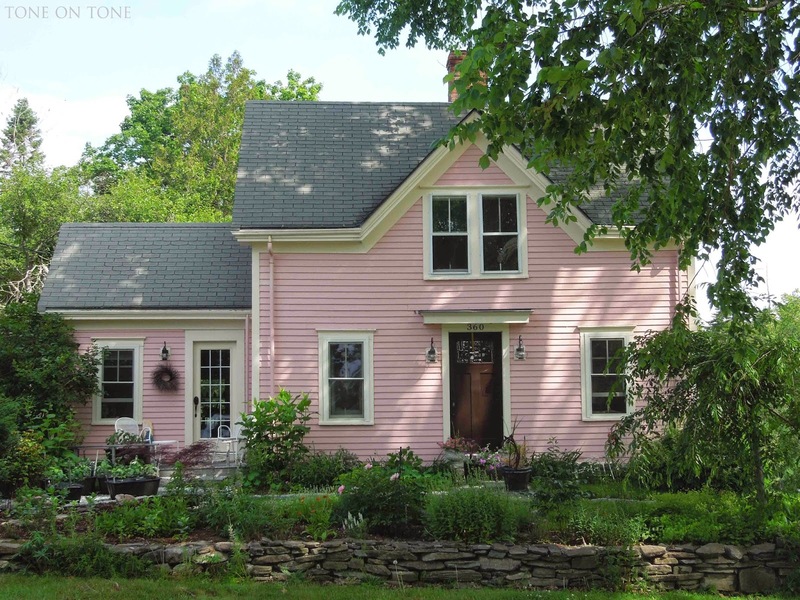 Now I'm in love with a pink cottage! A warm welcome to you both! Thanks for your visits, Janet and Yuko. Cheers! Oh my gosh I am in love. 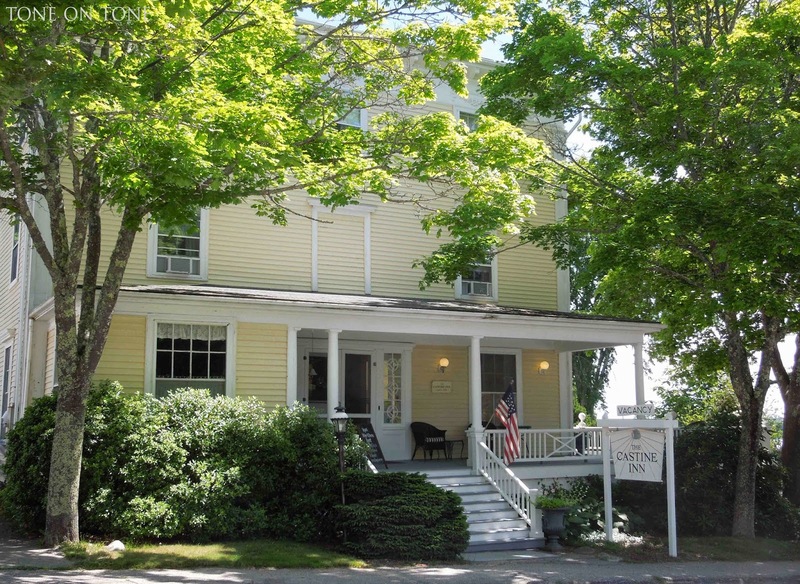 Thank you for the most wonderful virtual vacation, love how it feels like a place where everything is calm and peaceful, the pace slows down just a notch, people smile,etc.....love the Americana vibe and old fashioned feel, so my kind of place! My sisters husband is from Maine and every August they go up for 2-3 weeks and it;s always hard for them to see it end, they love it up there. You have chosen well....thank you for giving us a tour, I can certainly see why you love it so! 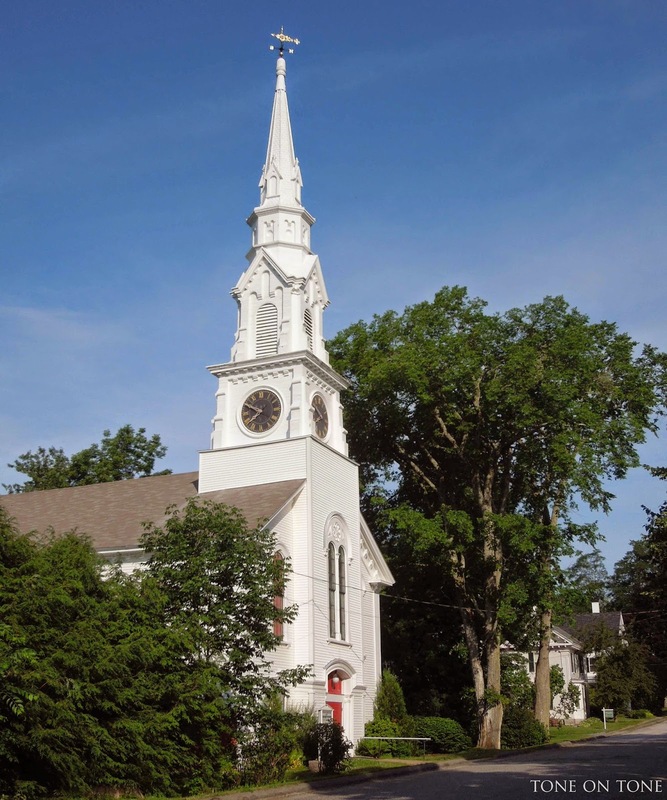 Many years since I was in Castine but always enjoyed it there…….and anywhere in New England! Lived in NH and MA for 12 years before moving south so traveled the length and breadth of that beautiful corner of the country. 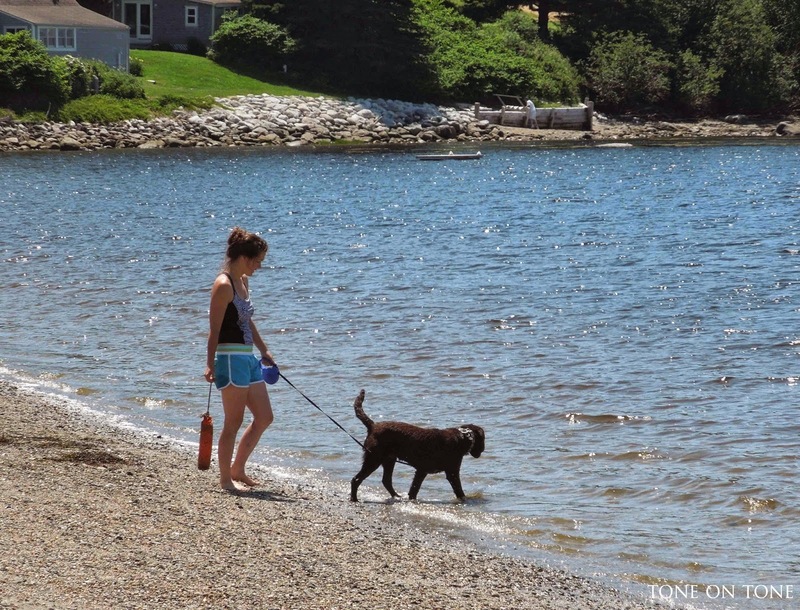 Maine IS my favorite state - we always spent summer beach time at OGUNQUIT and KENNEBUNK…….can still taste the lobster and steamed clams! Lovely post Loi - great photos of everything in town and by the shore. You and Tom will have a fun time I know. 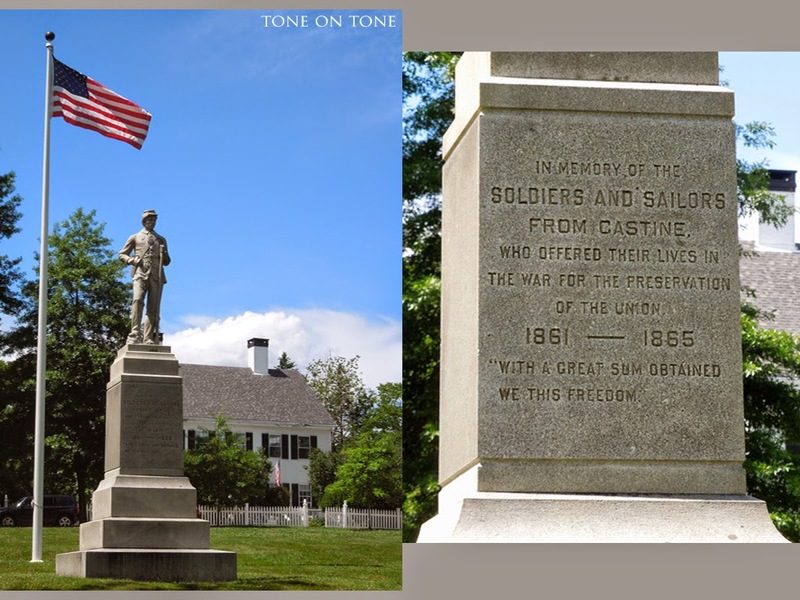 Loi, thanks for taking us around Castine. 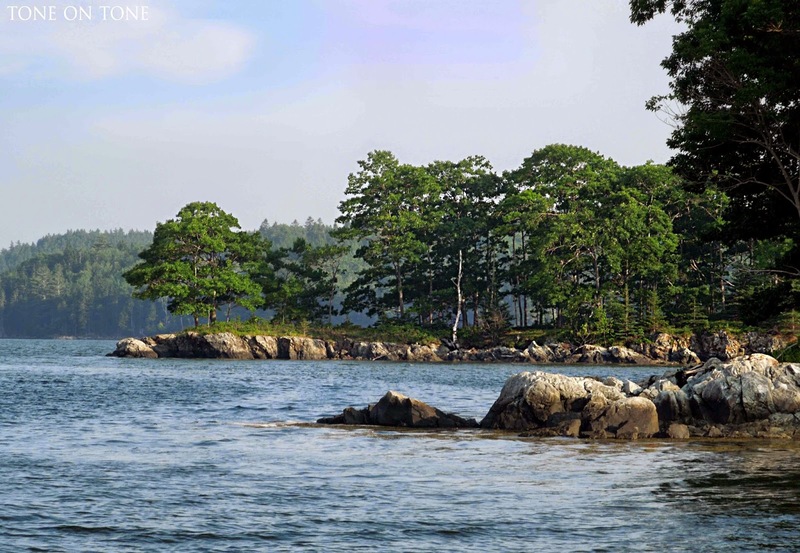 It's a charming spot and your photos make me long for a return to the beautiful Maine coast. The historical feel and the water views make it ideal for me. I know you and Tom must have delightful stays. Can you enjoy your home year round? 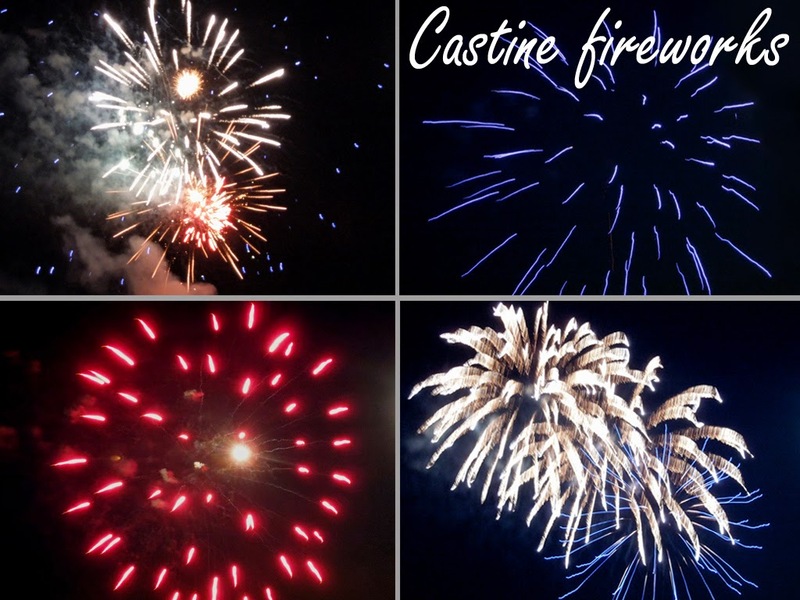 Loved seeing the 4th of July celebrations. It's heartwarming to think that just such celebrations are being held all across our country on the 4th. Thank you, Sarah. Yes, the house is well heated, and we do plan on visiting during the colder months. 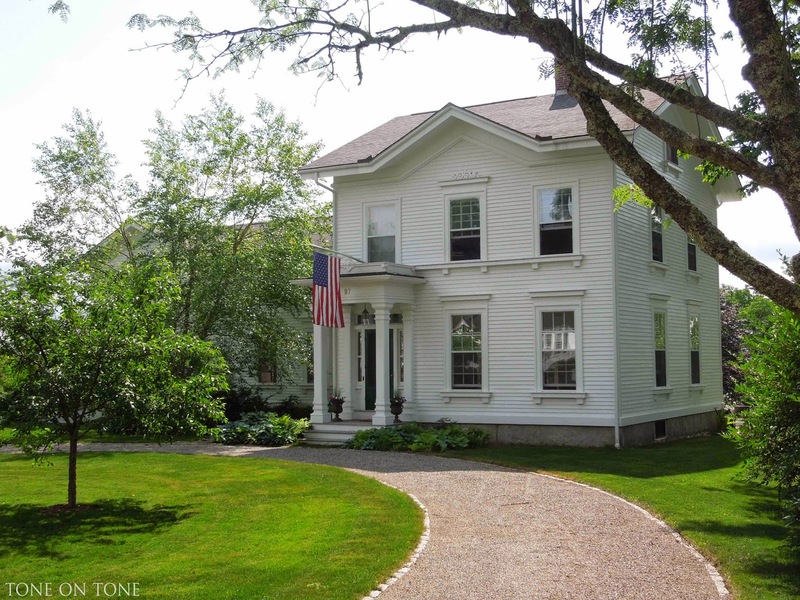 Castine is not only charming, it's IDEAL!!! You have surely found HEAVEN!!! What a wonderful town. It's so picturesque and beautiful. I love hearing the history and the traditions. 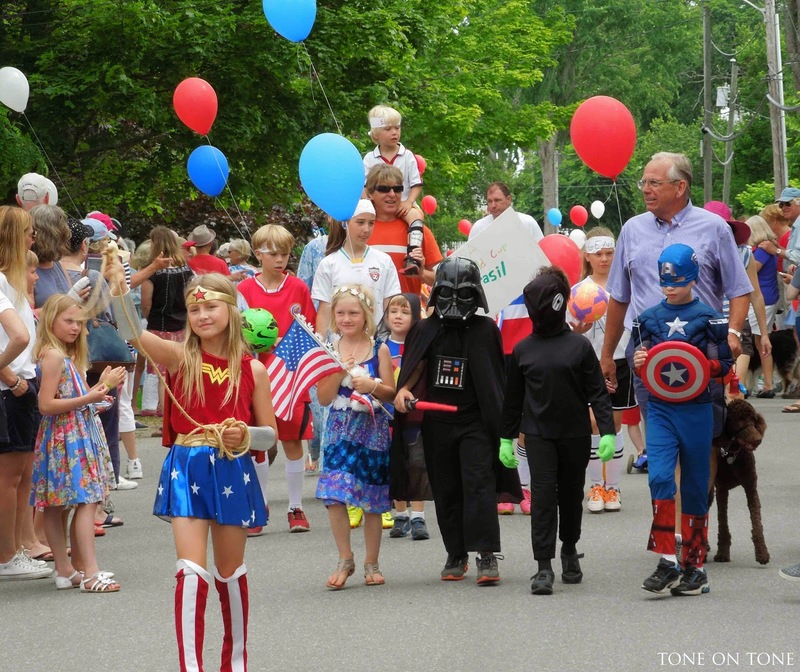 The 4th of July parade was like something out of a movie. Wonder Woman and the little soldier were so darn cute. You and Tom selected well and will undoubtedly be so happy there. Thanks for bringing us along. Loi, I am sure you will be very very happy living in such a beautiful community. 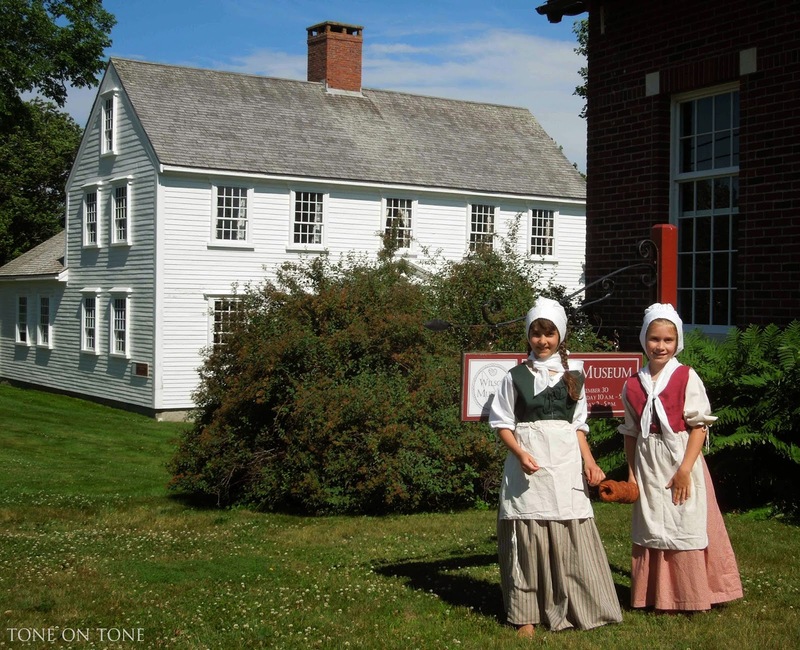 The photos were sensational and Castine looks charming, historic and welcoming. You have found a piece of Heaven. Love Castine!! Beautiful pics, looks like you're having a fabulous time. Sure you don't want to be back here in DC w/all our lovely humidity?! 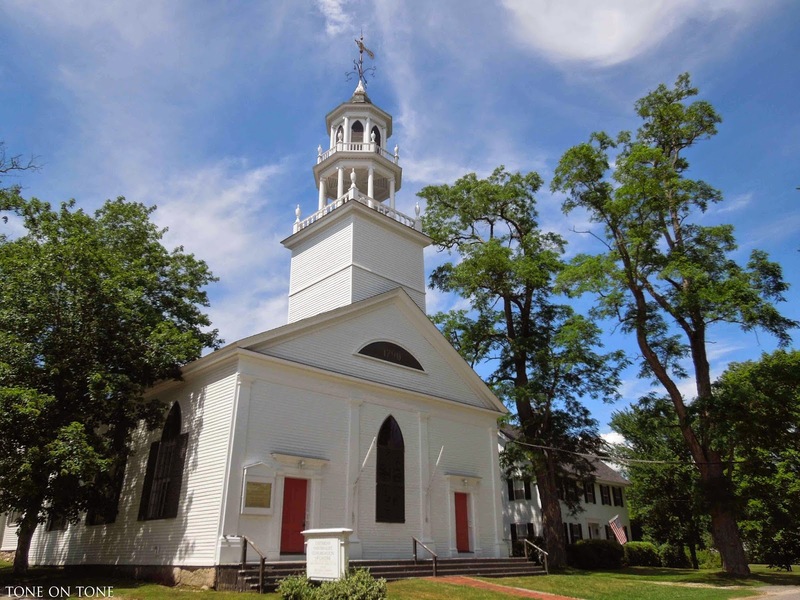 Gorgeous photos of your town. These make me want to book a flight and vacation there. your ambassadorship of castine is no doubt far reaching. Thanks for the tour of Castine. It looks charming. I had to get the map out to check where Castine is, using Boston as my reference. Now I know!! 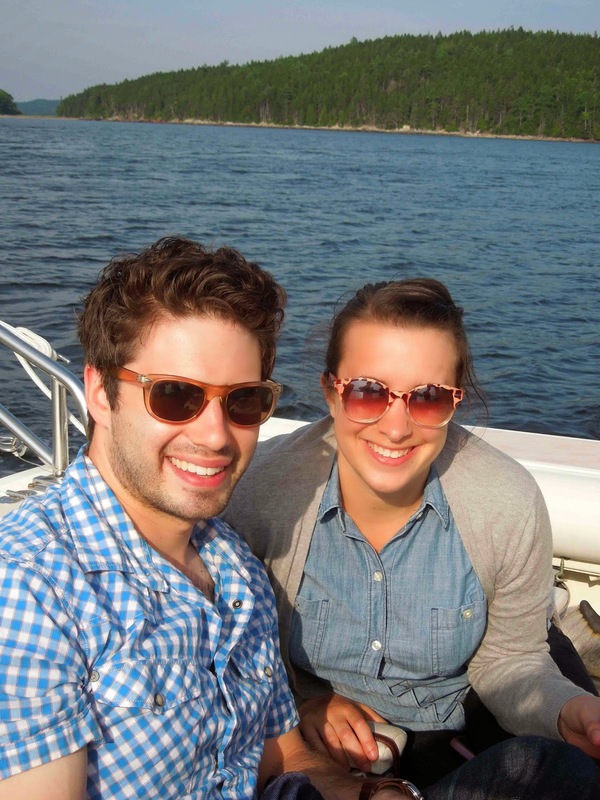 Even with your pictures before Loi, I can see why you guys fell inlove with Castine. But with this latest tour around your marvelous town, I know why you guys ended up buying a home here! It's like living in a postcard! Beautiful, welcoming and oh-so-pristine! You will have many happy days and make beautiful memories here for sure! I can see how Castine must have attracted you! It looks so classic small-town America, and lovely. I know you're working when you go there now, but hopefully soon this will be a wonderful place to get away from the busy life. 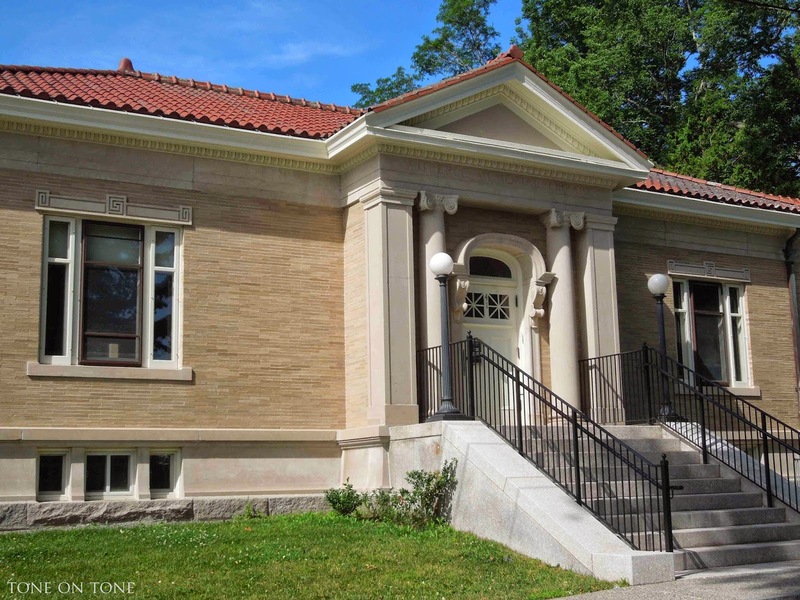 :) Some of the homes remind me of homes I have seen on "This Old House." What a charming and beautiful town Loi. You and Tom chose well. The houses are so historic and grand. The shops look so interesting too. It's so American. The best of all is the sea views. It must be so nice to go swimming there in the summer. Loi, what a wonderful tour! Your little seaside town is absolutely beautiful. I also appreciate the charm, history and strong sense of community. They are the same qualities we looked for when buying properties in our favorite communities. Who wouldn't be happy in Castine?? I hope you and Tom get to spend a lot of time there:). Good morning, Thank you so much for sharing. 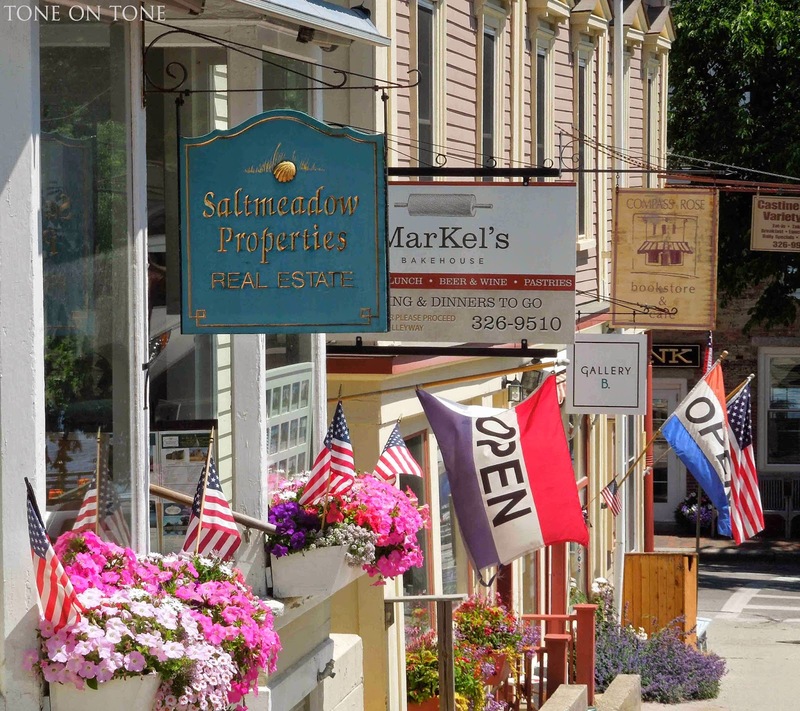 Castine looks an amazing place to live; forget bright lights big city, this is my kinda place. Oh my, history!!! 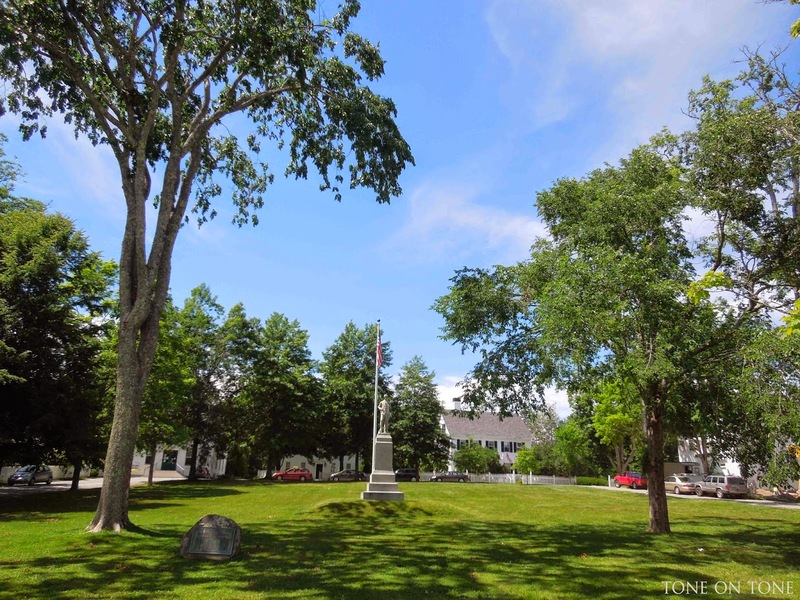 Loi, I am charmed beyond measure by your town of Castine! Bookmarking this post for the trip we will "someday" take to Maine. It's so close and I just know my boys would love it! 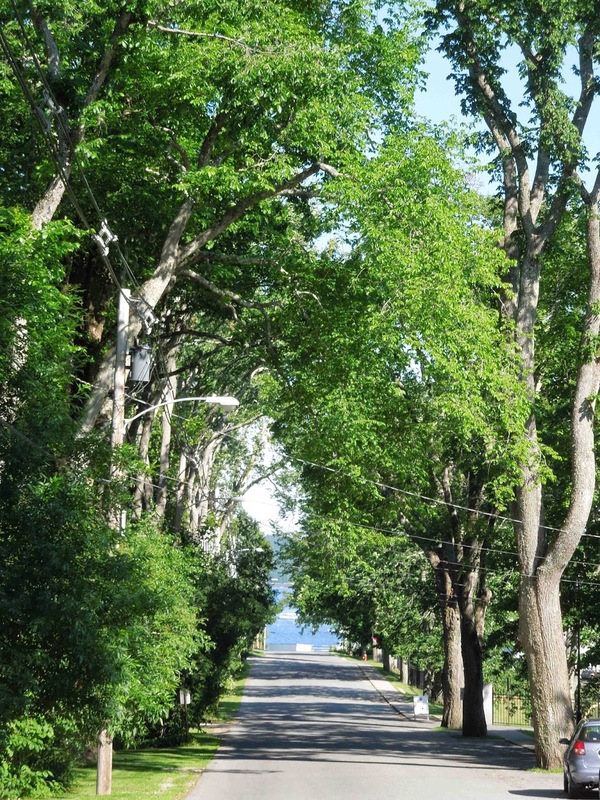 The shot of the elms lining the street with the sea at the end gave me tingles. Loved the parade and so happy that you are in such a beautiful place and able to enjoy it with those you love! que lugar lindo e encantador, me despertasse o desejo de conhecer. Loi, you picked such a charming town for your home! 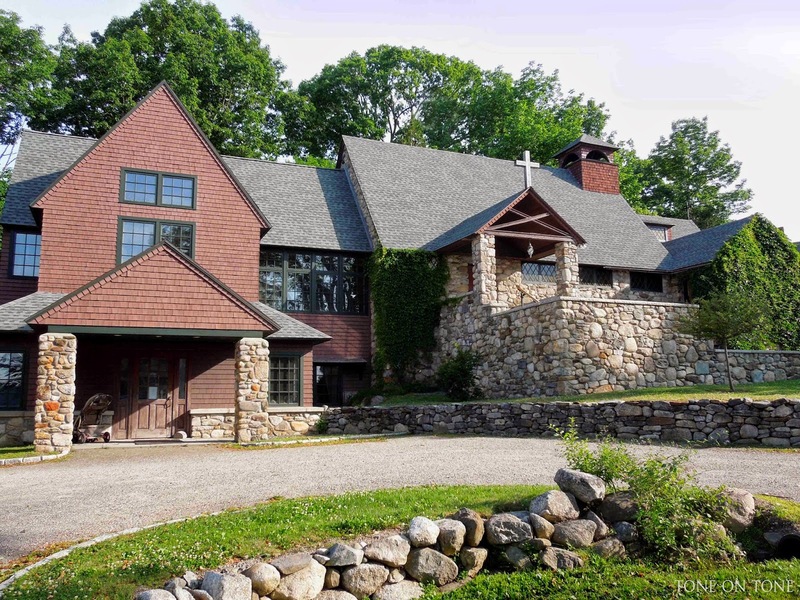 It's just beautiful and I hope that I can convince my in laws that we need to check it out on our next visit to Maine (one brother lives near full-time in Edgecomb, the other has a vacation place in York) - or I'll need to steal a car and make a break for it. 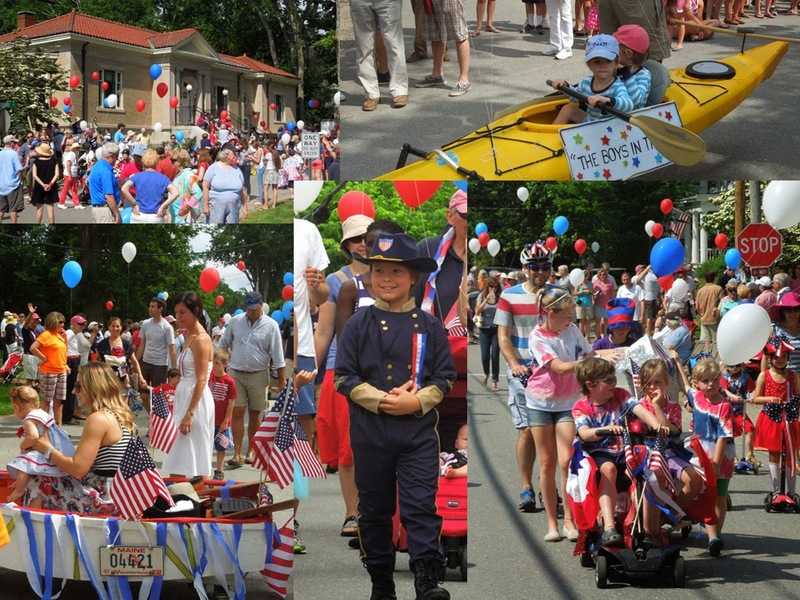 I especially love the picture-perfect Fourth of July parade - it's exactly what an Independence Day celebration should be. Hope you have many, many happy years in this lovely place! 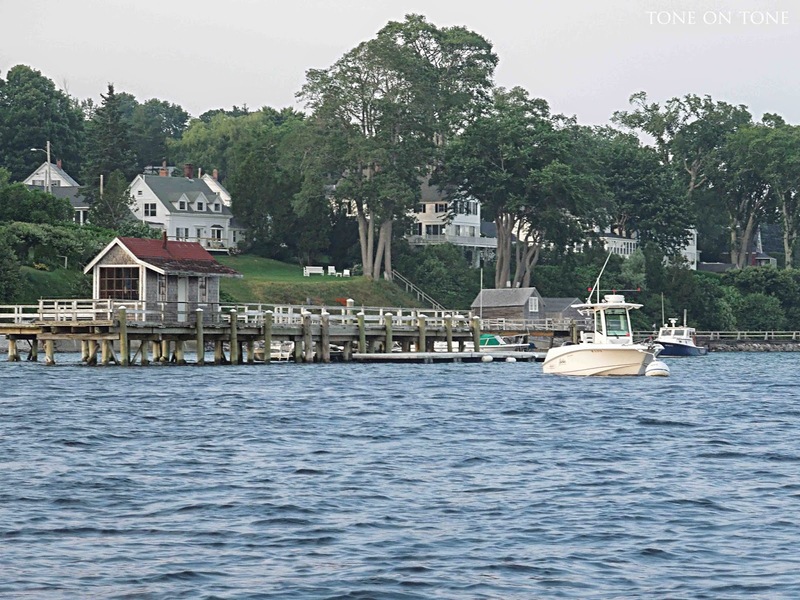 Castine is such a special pretty little town and you have captured it so beautifully, Loi. The town is lucky to have you and Tom as its new residents. Thank you for taking us on a little vacation with you! 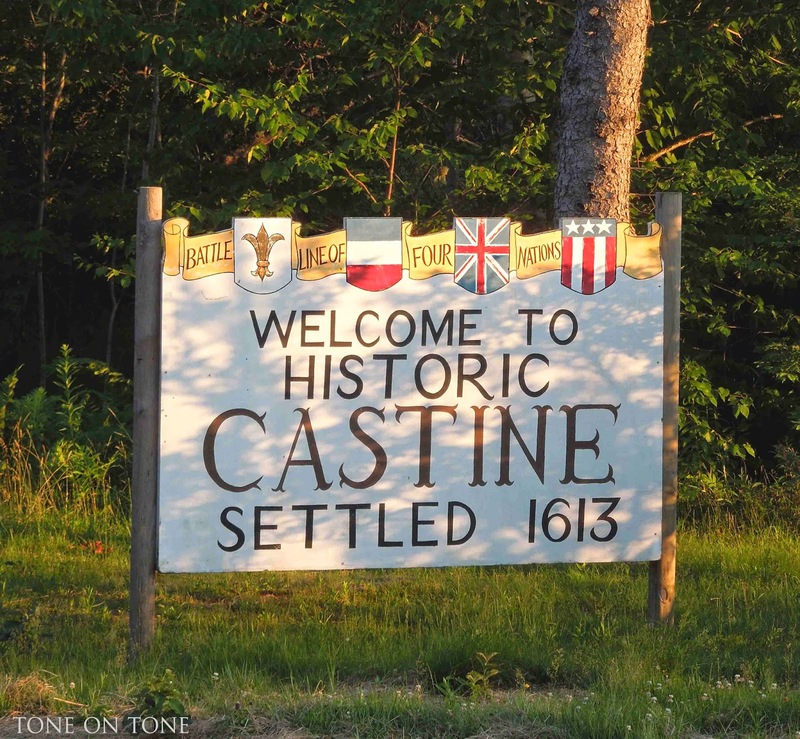 Cindy: Tom and I are lucky to have discovered Castine! Since you were there last year, you know exactly what I mean. We love it! I need to spend more time here in the STATES!I have never been past NEW YORK CITY.........I definitely need to explore!Love the old homes!You are so lucky to have found a home there!Do keep a look out for my GREAT 4 TIMES I think GRANDFATHER.GENERAL NATHANAEL GREENE.............I have found out city's and places have been named GREENE after HIM!He was born in R. Island.I do believe the house is still there.He was best BUDS with GEORGE WASHINGTON!Let me know if you find anything!! !One day I will take a road trip..........and visit you TOO! You have certainly found a charming getaway. 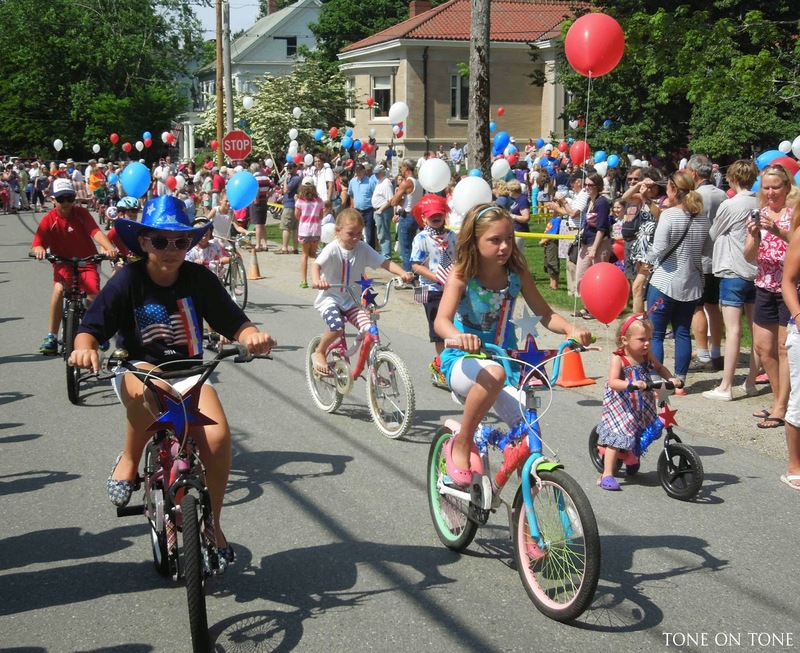 Your photographs reveal a thriving town that is unspoiled, and nothing says that more to me than to see children excited to be in an old-fashioned parade. I agree with all of the other comments…. 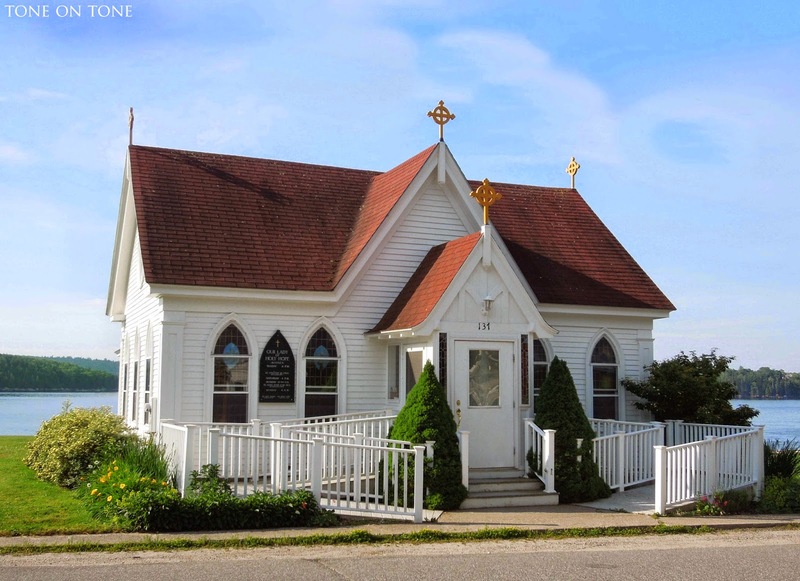 Castine is definitely a unique and beautiful town. Living in California, I am not used to being surrounded by so much American history, but I can understand why that would be appealing. We chose to move to Ojai for many of the same reasons that you chose Castine… the natural and architectural beauty as well as the sense of community. 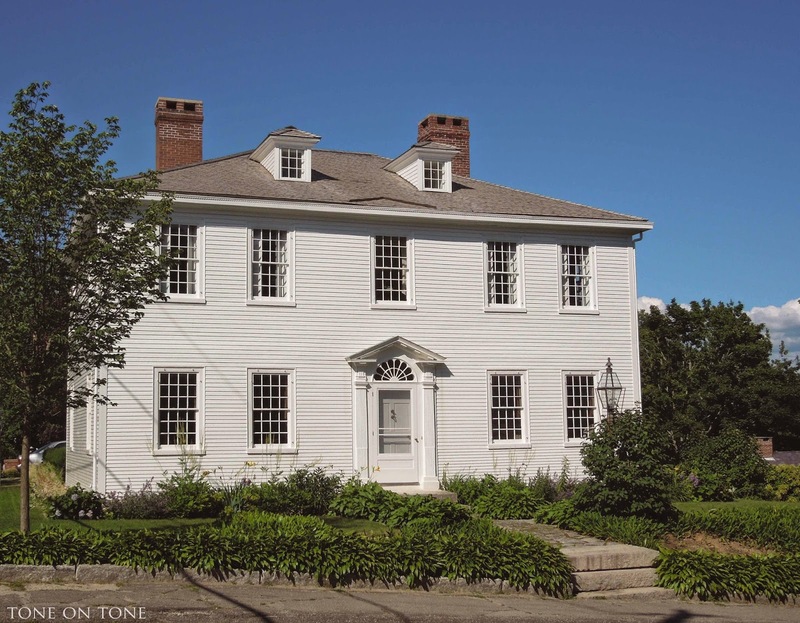 Thank you for sharing Castine with us! What a beautiful place Loi, I can understand why you were drawn to Castine. Lots of history, gorgeous houses, great shopping, wonderful communiy vibe and being so close to the water is also such a treat. Fantastic photos, I really felt like I came along for the ride. Will you get a boat? Now, I know you picked some up for me, so wheres my old fashioned donut. Yumm! Fantastic! What a great ad for our town. 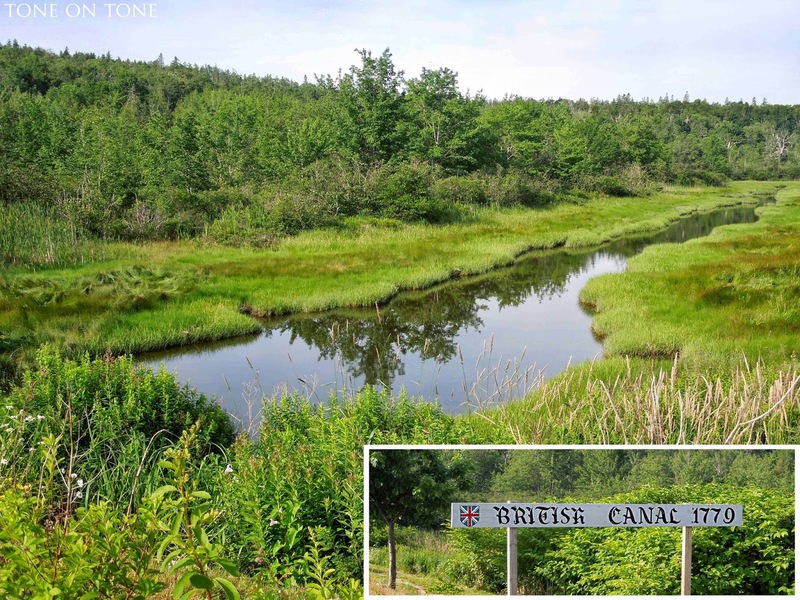 Thank you for sharing these beautiful pictures of our beautiful Castine. No wonder we love it here. You captured Castine perfectly. My wife and I met you and Tom in the Town Hall when you were hoping to make settlement on you home. We were there getting our marriage license. We wished you well and you the wishes. Looks like the well-wishes worked for us all! Hoping to meet you on Main Street or at the Breeze. Jean and Louise - I don't have your contact info.....can you please send me an email? Thanks! 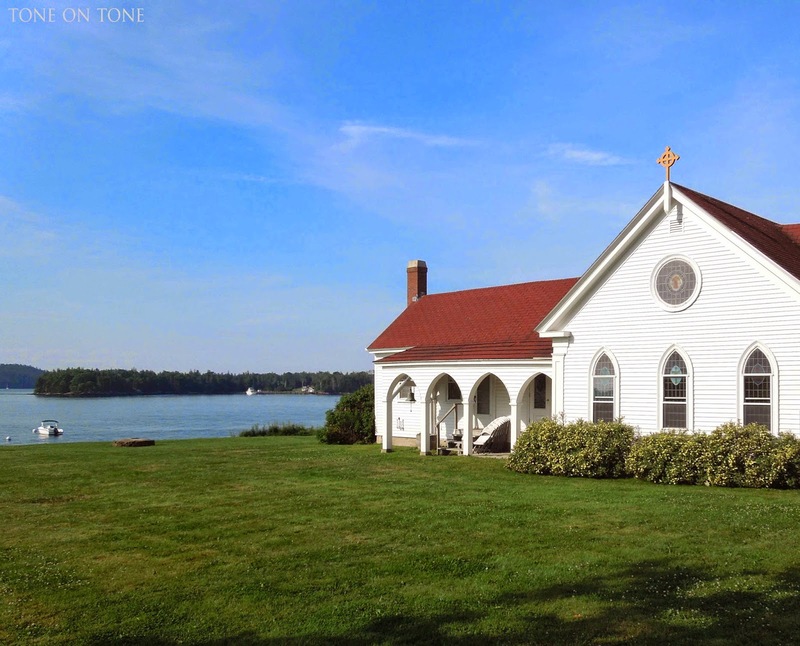 I'm drooling over these gorgeous photos of Castine. 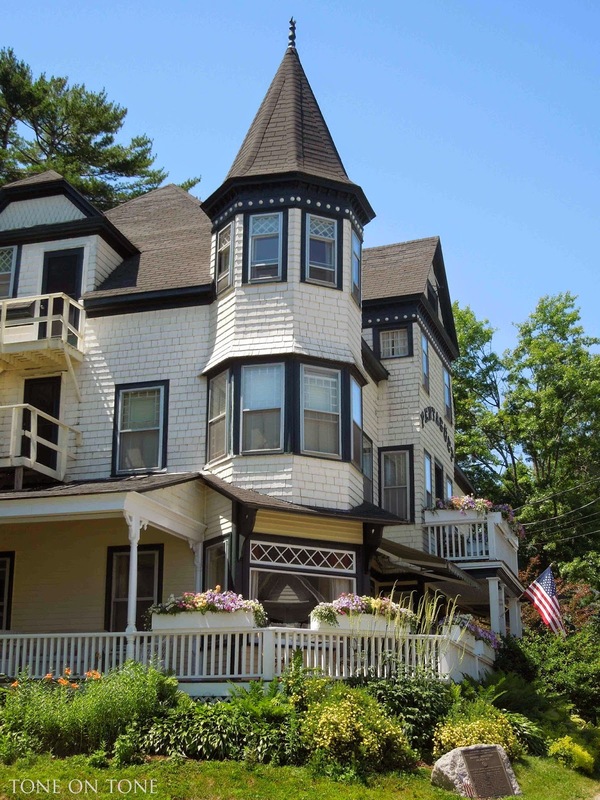 The historic homes are so lovely and charming. Maine is such a beautiful state, especially along the coastline. So glad you found a great community, and I'm anxious to see the home you purchased. 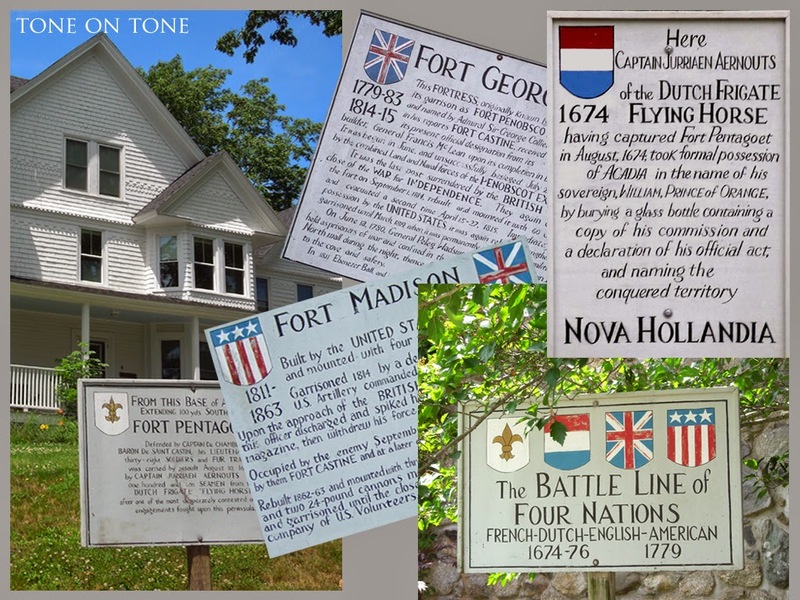 What a wonderful town with such an interesting history and the most beautiful and charming houses! I can imagine that you're looking very much forward to move into your house soon, being surrounded by beauty, having such a lovely neighbourhood. I am in love with this own. How American can you get? So many beautiful homes, crystal blue water, and lush greenery! i was not aware you snapped that pic of me in my wonder woman glory. (you're welcome!). what a charming place to kick back. take me to the lighthouse, please! 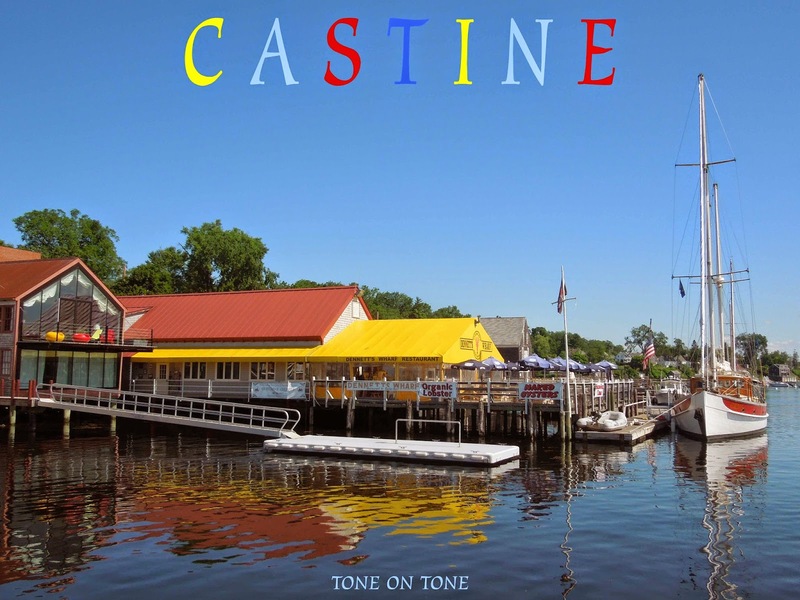 Castine looks amazing Loi, no wonder you chose it. 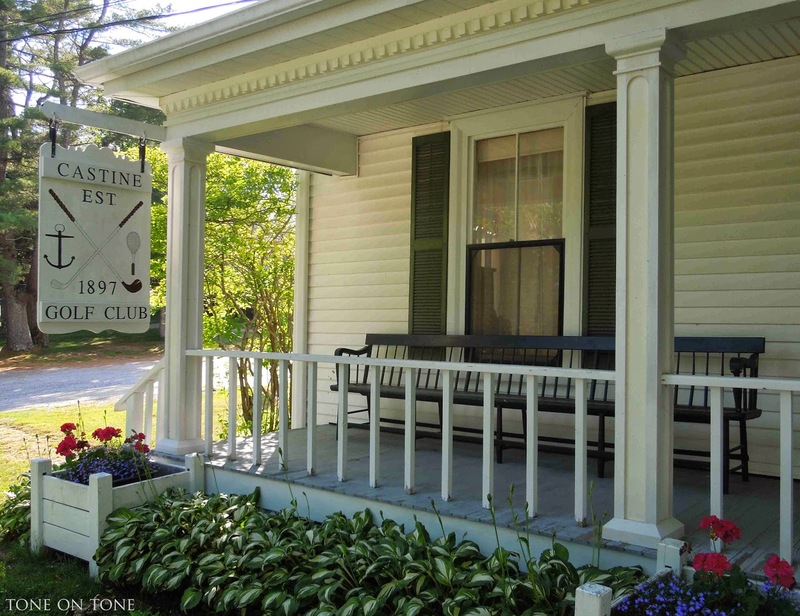 Even the name "Castine" is beautiful. Hi Loi, Thank you for the lovely tour! The colorful historic homes really caught my eye as did the quaint hometown feel of your beautiful photos! 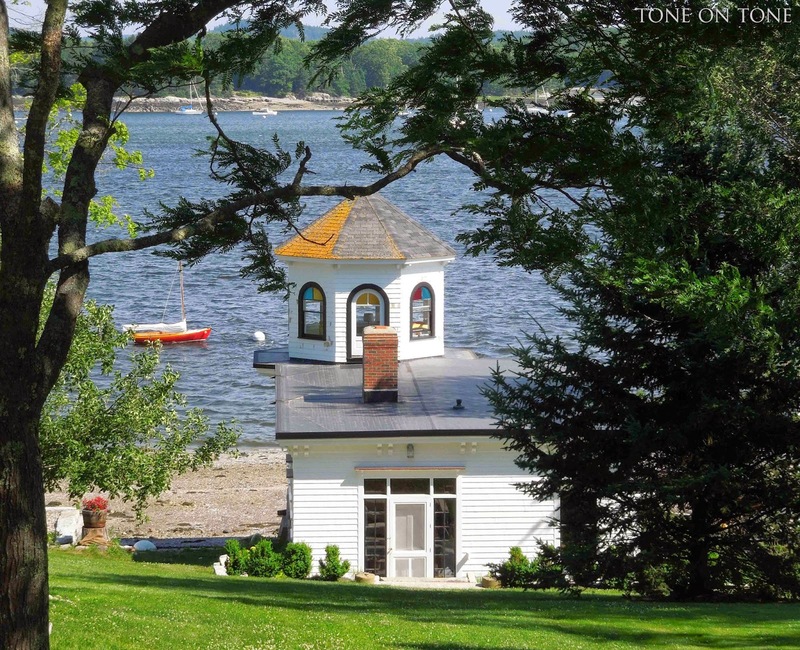 Hi Loi...Maine looks like a wonderful place...I would love to visit...loved your post on Kim's blog...your home looks beautiful! Beautiful! Loved seeing this beautiful place through your photos! A wonderful tour, thank you! Stopping by after seeing your library at Savvy Southern Style! My brother and sister in law, along with their daughters have been in Maine for the last week and are loving every minute of it! 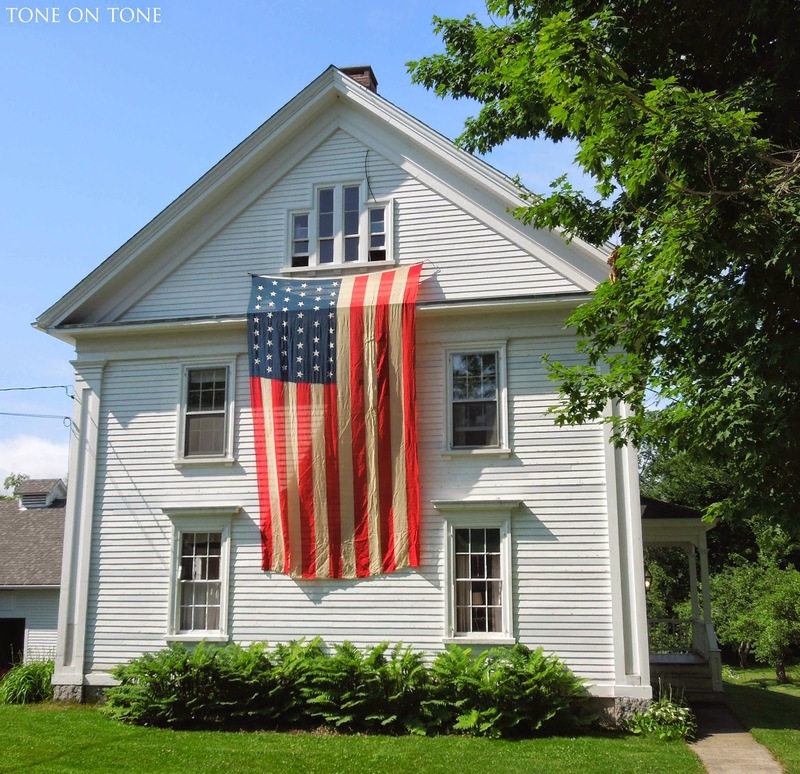 Love the tour Loi, it is quintessential Americana, and looks like a lovely place to spend the summer! Your home tours is wonderful, such beauty Loi in all you do and all you visit. Looking forward to what August will bring for you? So beautiful, Loi. 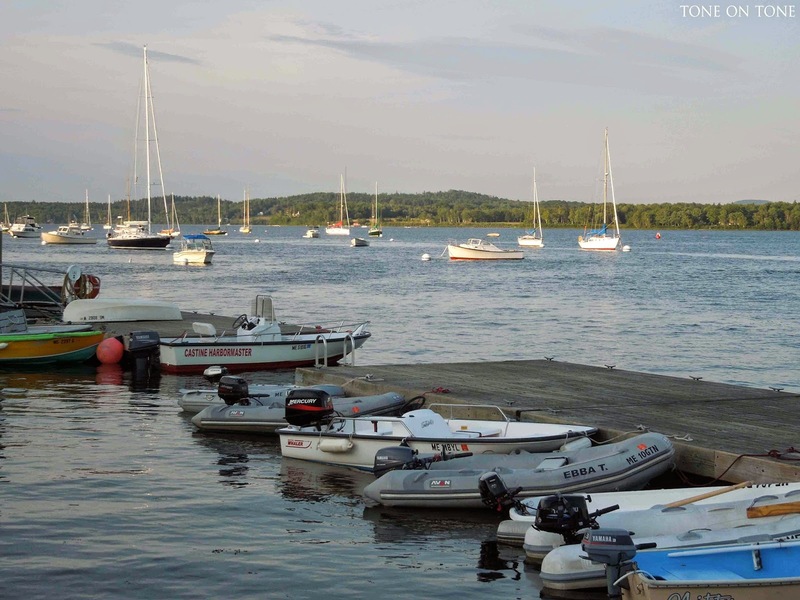 Kind of hoping you wouldn't tell everyone just how wonderful it is so Castine would keep its quiet lovliness. Guess it's too good a secret to keep under wraps. Thanks for reminding me. Loi, this is quintessential Americana at its best. What a wonderful town to live in!! 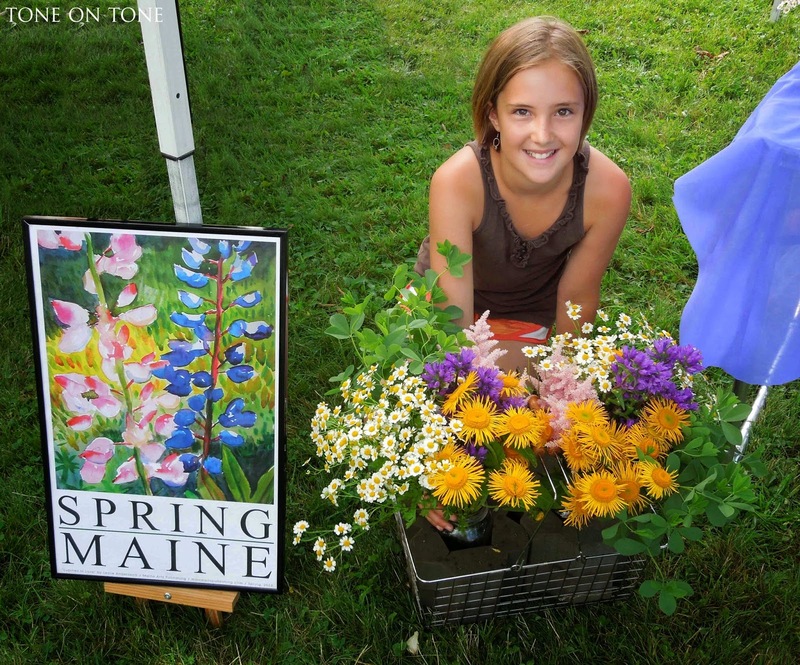 What a wonderful set of photos to help us appreciate the beauty of Maine. It looks so peaceful. It's a beautiful place indeed! 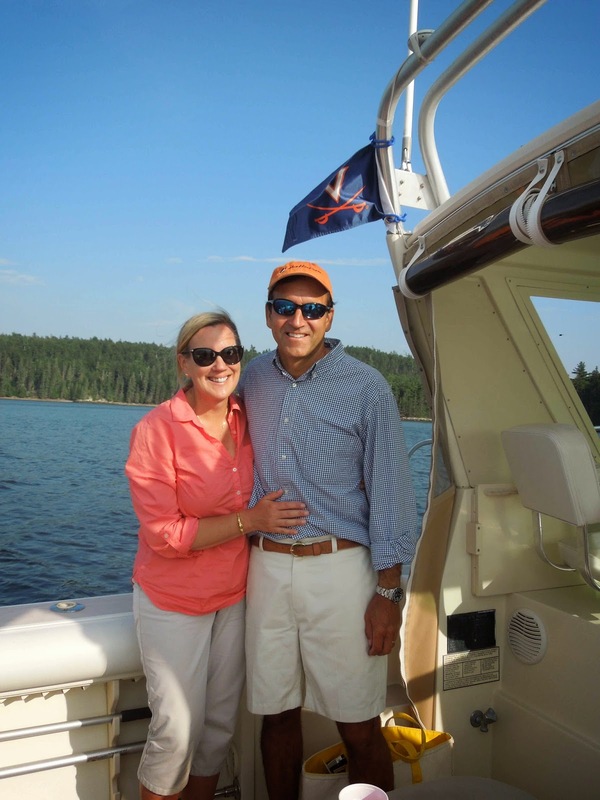 I hope you and Tom are enjoying your summer. I can't believe it is mid August already. I've just started getting used to the idea that it's summer...ha ha. Loi, your photographs are so realistic it feels like I could walk into each picture. Your pictures are amazing!! 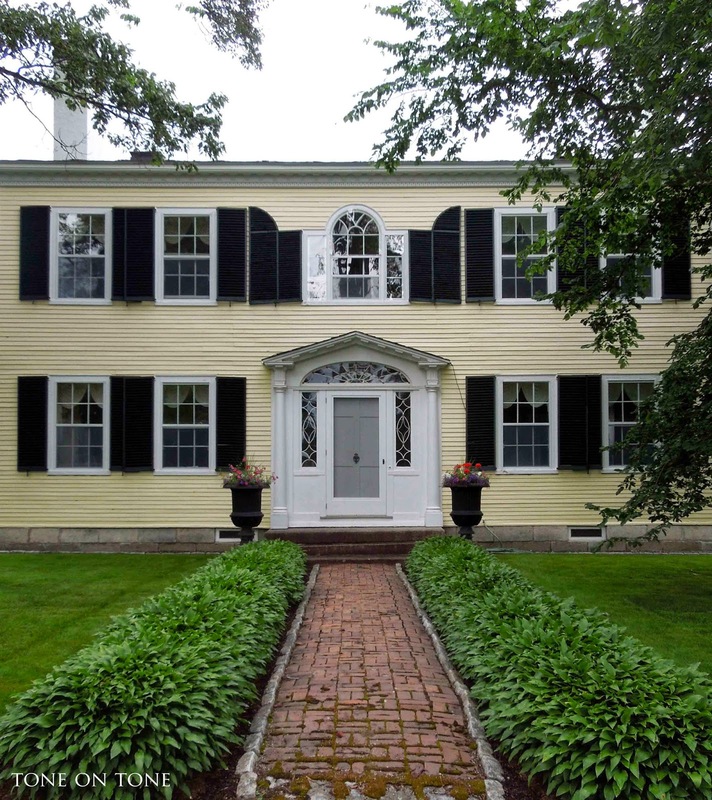 I love New England architecture.